The Municipal Tourism Office (MTO) in the cliffy town of El Nido in northern Palawan announced that it is preparing to open 12 new tour sites in Bacuit Bay, but might also be closing several for much-needed rehabilitation. Municipal Tourism Officer Arvin Acosta said four of the 12 proposed new sites are Abdens Rock, Popolkan Island, East Pangulasian, and Inambogol Island in Bacuit Bay that are set to be opened to public possibly before peak season next year. 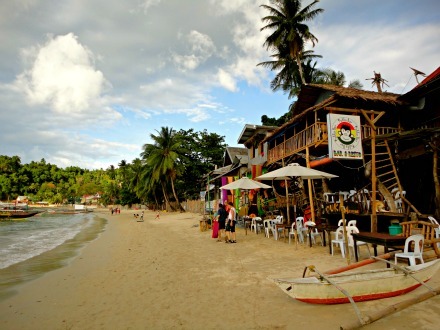 With the plan, Acosta said there is also an ordinance hanging in the El Nido Municipal Legislative Council that calls for the closure of several frequented spots such as Shimizu Island, a popular snorkeling site in Bacuit Bay. Shimizu Island and four other sites are under temporary closure proposal for four to six years to give way to the rehabilitation of vital coral sites that have already been affected by uncontrolled human incursion. He said tourism arrival in El Nido is growing fast, and if human activities in Shimizu Island are not controlled, the corals that surround it will be lost soon and might not be revived as fast as they wanted. He did not name the four other sites. Acosta said that in 2014, tourism arrival in El Nido was around 70,000. They expect that before end of 2015, the number will double, if not triple. If this happens, Shimizu Island will be chock-full with tourists again, and the corals that are frequented for their beauty will suffer again. The alternative sites are equally beautiful in Bacuit Bay, Acosta assured. Popolkan Island, for instance, is a blissful site for any tourist, who loves communing with the innocence of nature. He admitted that the proposal to close some tour sites in El Nido was because of the rapid destruction of coral sites that are important not only because they are living aquariums, but that they are the breeding grounds of food fishes. El Nido is a first class municipality and managed resource protected area in the province of Palawan. It is about 420 kilometers (260 mi) southwest of Manila, and about 238 kilometers (148 miles) northeast of Puerto Princesa, Palawan’s capital.